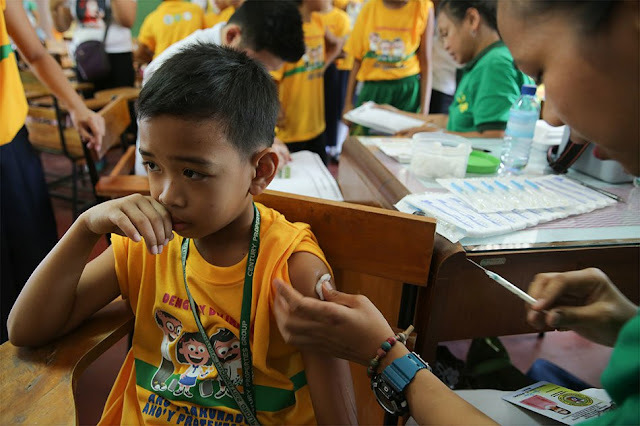 It is almost a year since the Dengvaxia-maker Sanofi Pasteur admitted that the vaccine to eradicate Dengue in the Philippines may cause a greater risk to recipients who had previously been afflicted with the disease. Presidential spokesperson Salvador Panelo made a statement in Malacañang on Tuesday, October 6 saying that public officials and private individuals involved in the anti-dengue vaccine program during the leadership of former President Benigno Aquino III will face appropriate charges to documented 96 casualties and counting on the Dengvaxia cases. Senator Richard Gordon presented a 20-page draft report recommending the prosecution of former President Benigno Aquino III and other former government officials “for all the tragedy, damage and possible deaths” resulting from the Dengvaxia mass vaccination program. It was during the time of Aquino when Dengvaxia was purchased and first injected to about 830,000 children from March 2016 to June 2016. The Public Attorney's Office (PAO) announced on November 5 that they are considering upgrading the charges to public officials and private individuals involved in the Dengvaxia mess to murder case. So far, PAO has documented 96 head count who allegedly died with Dengvaxia. Panelo assured the public that the executive department has made a "forceful action" to ensure that individuals responsible for the immunization of the controversial Dengvaxia vaccine will be held liable. "The Executive branch has taken forceful action, with the Department of Justice (DOJ) taking the lead and is expected to come up with a resolution before the end of the month," Panelo said in a statement. "Appropriate charges will be lodged and pursued against government officials and private individuals found responsible by the DOJ for this failed health program for children," he added. 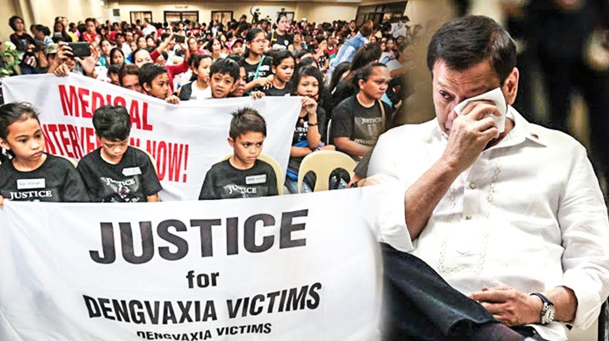 Amid the cry of families of children who allegedly died with Dengvaxia , Panelo said Duterte is keeping an eye on the Dengvaxia cases. Department of Justice is expected to come up with a resolution within this month, in connection with the victims caused by the vaccine. "The President is monitoring the issues surrounding the anti-dengue vaccine called Dengvaxia," the Palace official said. "He hears all the calls for justice of families of children whose deaths are reportedly caused by the said vaccine," he added. 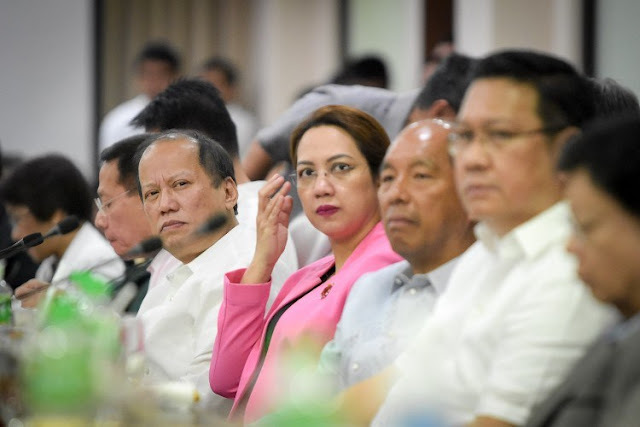 Aquino, Garin and other health officials will soon face 'appropriate' raps over Dengvaxia mess.